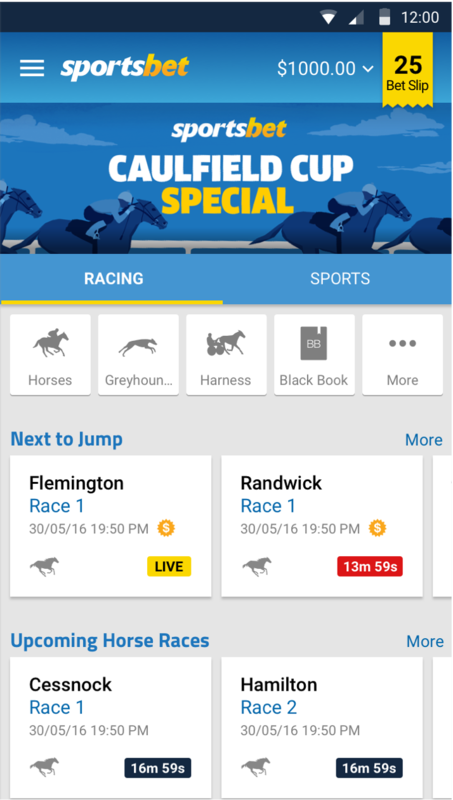 Sportsbet faces the challenge of a competitive landscape which is rapidly evolving from retail to online and now to mobile. As a key strategic project to allow Sportsbet to provide the best experience possible for punters on Android, Sportsbet decided to invest in a native Android application, and in doing so conducted an in-depth Vendor selection process with a number of global companies. Seventh Beam were employed to bring the right culture and the level of expertise required for the project as the key delivery partner. We collaborated and co-located with Sportsbet staff, to provide the increased capacity and expertise required to build an entirely new mobile platform. Working alongside the Sportsbet team, allowed Seventh Beam to be involved with stake holders and all aspects of the delivery process to not only create a great product, but to ensure Sportsbet completed the project with the in-house knowledge and abilities to maintain and build on the work delivered in the project. 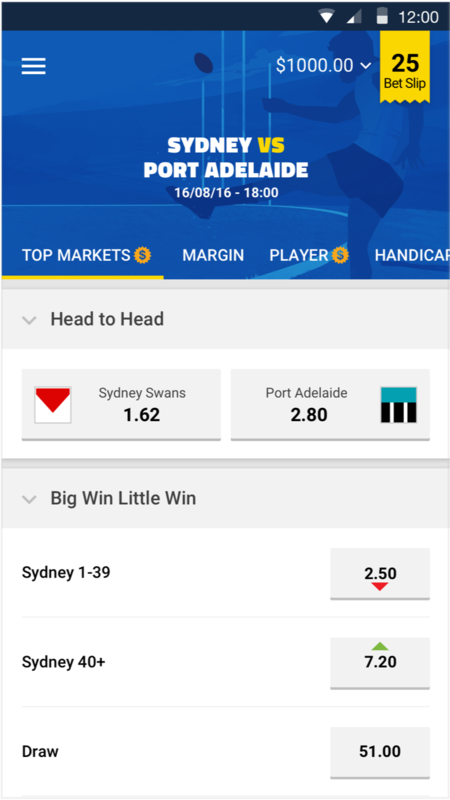 Sportsbet now have a highly maintainable application, providing a platform for them to be able to expand upon with confidence. We worked within the broader Sportsbet processes, expanding these where appropriate, delivering within the wider company cadence. 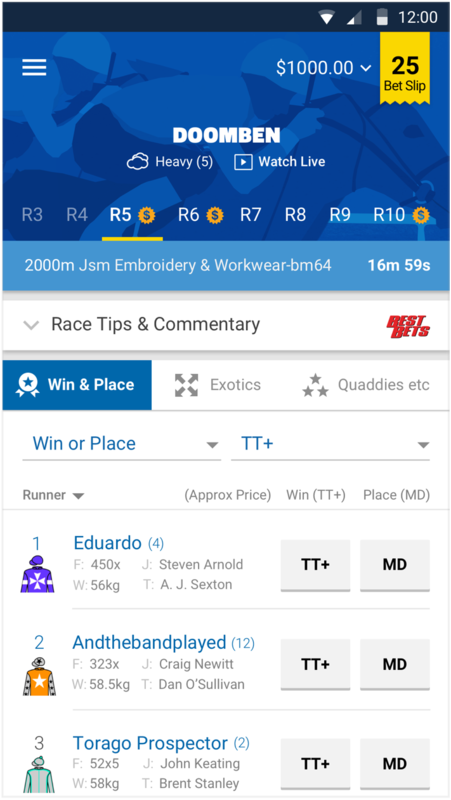 Sportsbet have launched the Android Application to their customers and are getting great feedback due to the improved user experience and performance of the native Android application over the previous offerings. This reflects Sportsbet listening to the feedback from their customers, and ensuring the application resolved the key areas identified as critical by their customers. Clearly defined architecture, allowing for components to be reused and configured easily and quickly when adding new features. Live application monitoring, allowing for issues to be found and resolved quickly. The app is now full released and generating revenue and ready for the AFL season and the Women's AFL.